Bosses at Crossrail and some of the UK’s biggest construction firms are being warned against engaging in a ‘scam’ which is aimed at dodging new tax rules introduced by HM Revenue and Customs to close tax loopholes and clamp down on ‘umbrella’ employment models. The warning in a letter to bosses from Unite comes after the union obtained documentation of employment business service providers continuing to offer construction firms an alternative to direct employment to reduce national insurance and employment costs by more than 25%. Unite is also calling on HMRC to investigate the scam which sees employment business service providers offering ways to side step the new supervision, direction and control test (see below), which came into force on 6 April, by engaging skilled workers on a self-employed and ‘tax efficient’, basis. The new ‘test’ was introduced by HMRC in part to prevent employment business service providers or ‘intermediaries’ from engaging workers through a ‘tax efficient’ ‘umbrella’ employment model. The loophole allowed employment business service providers and employment agencies to minimise employer national insurance contributions and drive down wages by getting workers to claim tax relief on travel and subsistence to supplement their low pay. In a presentation seen by Unite, one employment business service provider boasts of consulting with ‘highly skilled legal and financial advisors’. The firm goes on to offer a ‘status check’ on whether any skilled workers can be employed without supervision, direction or control. A move not only designed to reduce employment costs and be ‘tax efficient’, but one which Unite says could undermine health and safety and erode industry standards. 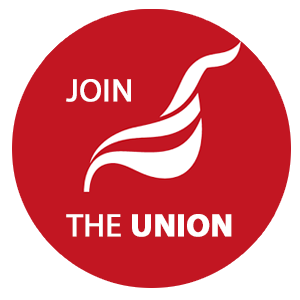 Commenting Unite national officer Bernard McAulay said: "Everything we've seen and heard points to a brazen attempt by employment business service providers to side step a tax loophole which was closed just last week. "We've already had reports from construction workers being pressured to declare themselves self-employed and sign contracts agreeing to accept liability for any unpaid tax and national insurance should the tax man come knocking as a result of this scam. "The reason HMRC closed this tax loophole in the first place was because employment business service providers were exploiting temporary workers by getting them to claim tax relief on travel and subsistence to top up low wages at the same as minimising employment and national insurance costs. "This latest mutation of bogus self-employment would effectively see workers, who should be directly employed, being stripped of holiday pay and their automatic enrolment pension contributions, while allowing employers to pay no national insurance and circumvent nationally agreed rates of pay. "We know that this 'scam' has been circulated throughout the construction industry and to companies on major projects, such as Crossrail by of at least one business service provider. “Unite urges HMRC to investigate and calls on the construction industry to turn its back on 'shady' employment practices which are designed to bust nationally agreed rates of pay at the expense of the taxpayer." Direction is someone making a person do is/her work in a certain way by providing them with instructions, guidance or advice as to how the work must be done. Someone providing direction will often coordinate the how the work is done, as it is being undertaken.